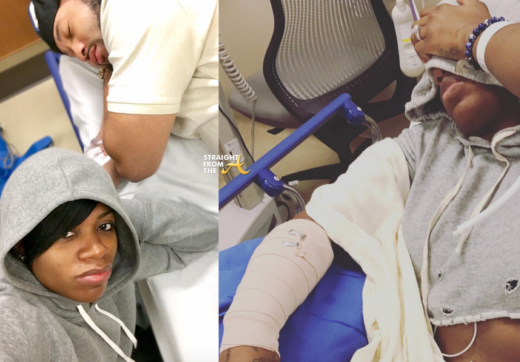 You may have read by now that Fantasia Barrino-Taylor was hospitalzed with 2nd degree burns on her arm after a bizarre vaporizer accident and her husband, Kendall Taylor was also hospitalized for an undisclosed ailment (click HERE if you missed that). Now, the cute couple are both alive and well and out of urgent care and want fans to know everything’s great between them. 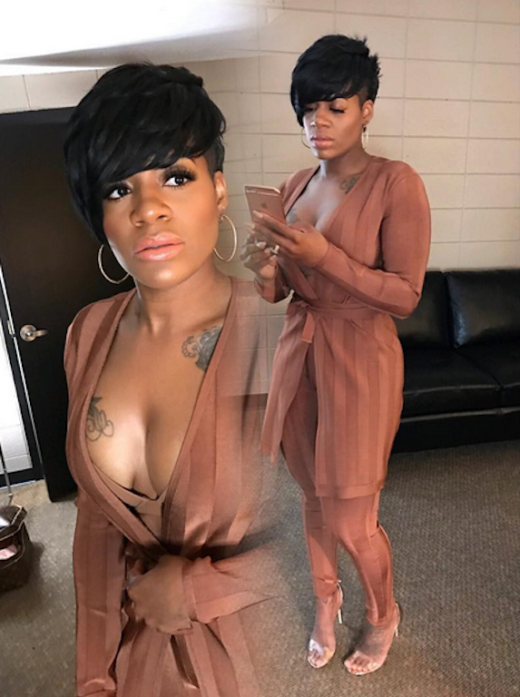 You may have read by now that Fantasia Barrino-Taylor was hospitalized this past weekend after suffering from severe burns on her arm (click HERE if you missed that). Well, now more details are turning up about the bizarre accident and apparently it all happened while Fantasia was sleeping. 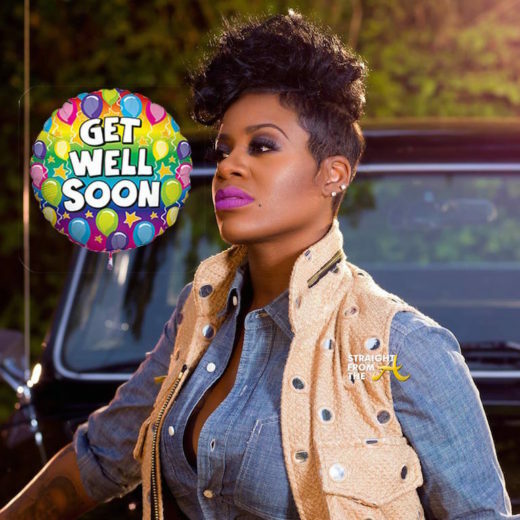 Fantasia Barrino has been injured and has reportedly been hospitalized after a bizarre accident. While specific details are unknown at this time, the Grammy Award-winning singer suffered second degree burns and is currently recovering from her injuries and has postponed at least one of her tour dates. It’s been two years since Fantasia Barrino married Kendall Taylor in a private ceremony back in 2014 (click HERE if you missed that), and this weekend, the couple decided to renew their vows. Over Christmas weekend, Tasia walked down the aisle in a renewal ceremony with husband Taylor, which she shared on Instagram, stating that she and Taylor got married “the right way” this time around. Fantasia also shared a photo of her ring and several photographs of her beautiful white gown. Fantasia Barrino and her husband, Kendall Taylor, were spotted hand in hand as they enjoyed quality time in Puerto Rico. The newlyweds jetted off to island locale for a romantic getaway after hosting a marriage ceremony for family and friends just over a week ago on a luxury yacht. Tasia, 31, shared photos of her honeymoon online as she and her brand new hubby frolicked on the beach and toured the romantic Caribbean destination. The couple appeared quite smitten on their island honeymoon and it appears that Fantasia has finally found the man of her dreams! 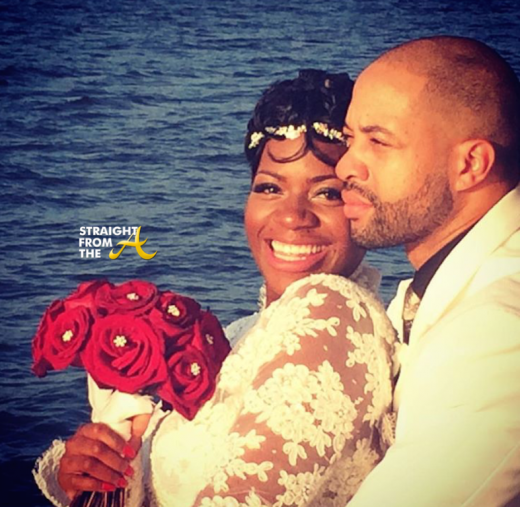 Instagram Flexin – Fantasia & Kendall Taylor’s Wedding Photos…. Those who really know me know that I LOVE Water.. Can you see it? How Happy I am.. This Man.. God made him just for Me and me Just For Him.. This Man.. Covers and prays for me and my children EVERY morning.. This Man.. Loves My Father in Heaven and his name is God.. This Man allows me to just be a woman.. No more Hurt because King Kendall will never let that happen.. The singer reportedly eloped with her boo, Kendall Taylor last fall (click HERE if you missed that) and the two encountered a rough patch and split up a few months later. After making amends, the couple decided to do it right this time and they held a lavish wedding this past weekend held on a private yacht. 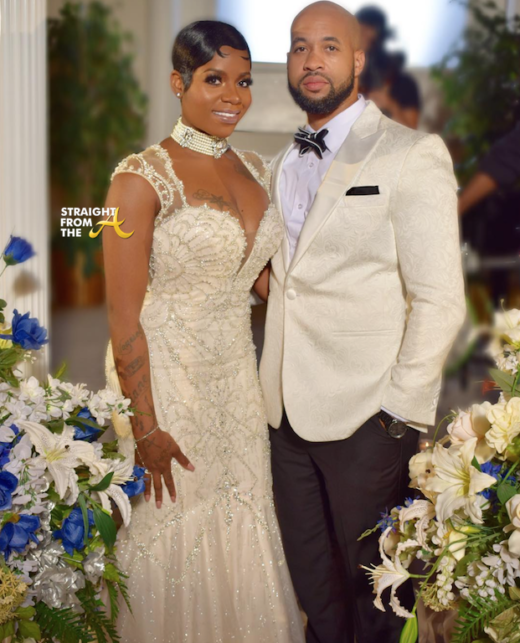 Fantasia shared photos of her big day online last night as she and her hubby exchanged vows in an intimate ceremony joined by all of their family and friends.